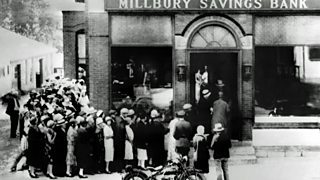 The 1933 financial crisis that led to a closure of all American banks. 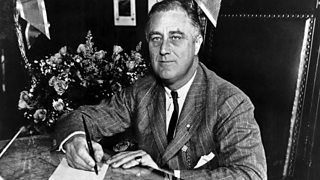 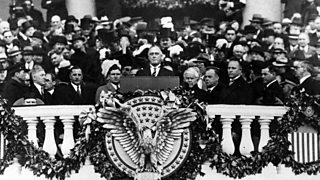 A recollection of FDR's re-evaluation of the need for social reform. 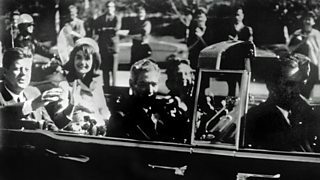 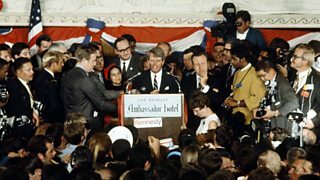 Cooke's eyewitness account of the assassination of Bobby Kennedy (1925-1968). 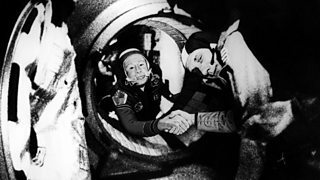 Russian-American handshakes in space, and the denunciations of Alexander Solzhenitsyn. 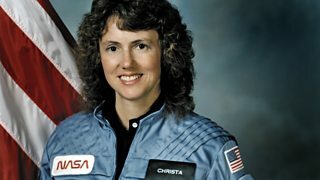 The death of space shuttle Challenger astronaut and school teacher Christa McAuliffe. 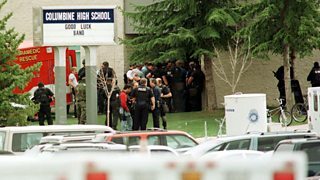 The shootings by schoolboys in Columbine High School, Colorado and the gun control debate. 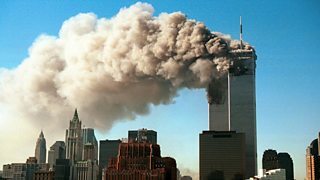 Reactions to the terrorist attack on the World Trade Center on September 11th 2001. 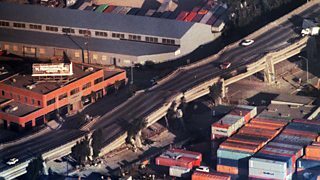 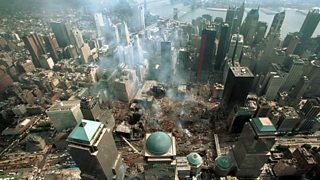 Alistair Cooke reflects on how America is coping after the 9/11 terrorist attack.